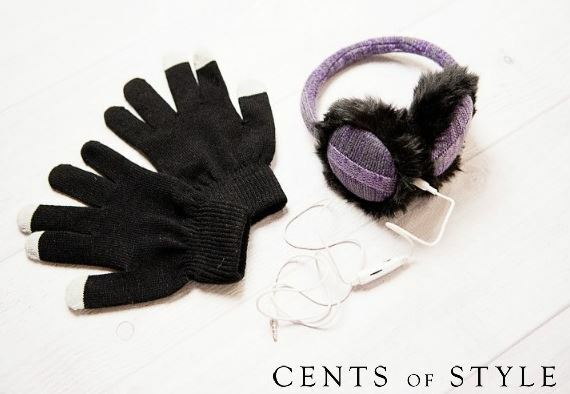 This week for Fashion Friday, Cents of Style is offering earmuff headphones and touch gloves sets for $11.99 plus FREE Shipping. To get this fun deal, use code DEAL2015. These cute fur-lined and knit earmuffs have speakers in them plus they connect via a cord to your smartphone or other MP3 device. You will also get a pair of black touch gloves so you can text, talk, or listen to music in warmth and style. This is a fun and unique concept so be sure and check it out! Offer valid 1/16-1/18. Shipping is FREE.